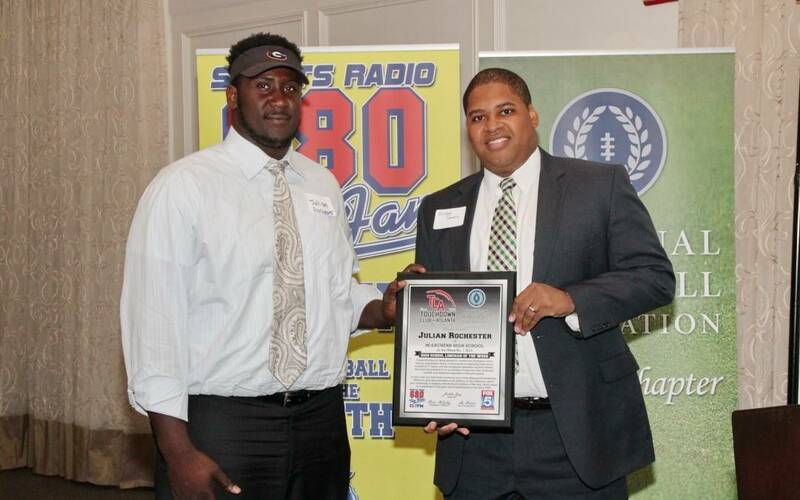 Lineman of the Week Chuma Edoga, McEachern. OT 6’5″ 296 lbs. He is #22 on the ESPN 300 list and #4 in the state of GA on Rivals.com. Committed to USC. 3.6 GPA and 1200+ on SATs. He runs a 4.75 40.